This Personalised Surname Serving Board will be the perfect gift for the entertaining! 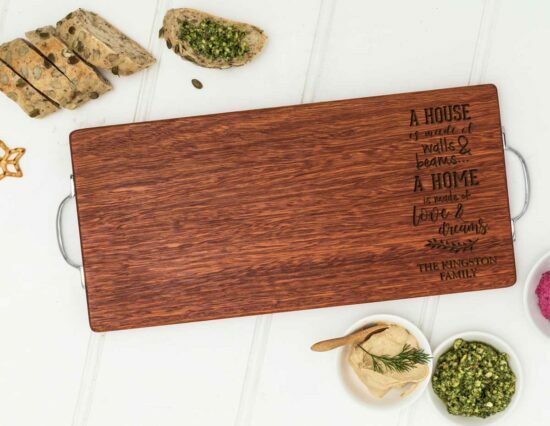 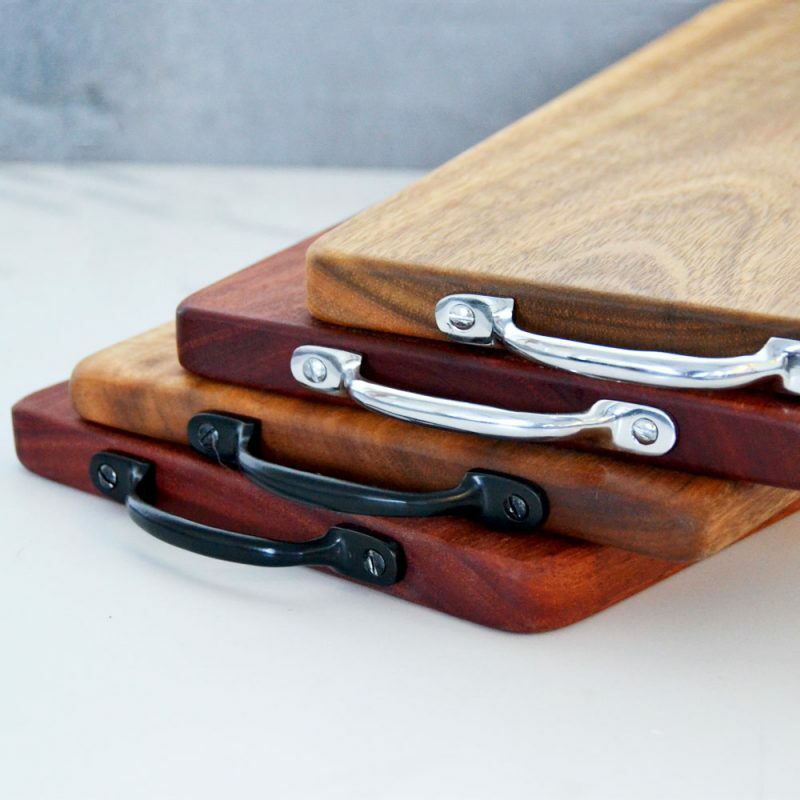 With easy grip handles on each end, this serving board can not only be used to serve delicious treats and nibbles to guests, but can double up as a chopping board! 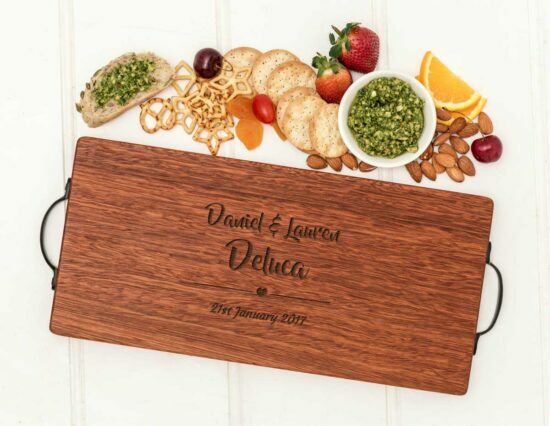 Beautifully laser engraved in our Australian workshop, they will use any excuse they can to bring it out and show it off to all of their friends. Choose between an Australian Blue Gum board (red in colouring) or an Australian Spotted Gum board (light/natural brown in colouring), as well as choosing between Matt Black or Chrome handles. 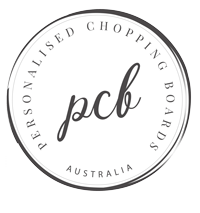 As these serving boards are hard by nature, we put them through the laser process twice to achieve a rich, deep engraving. 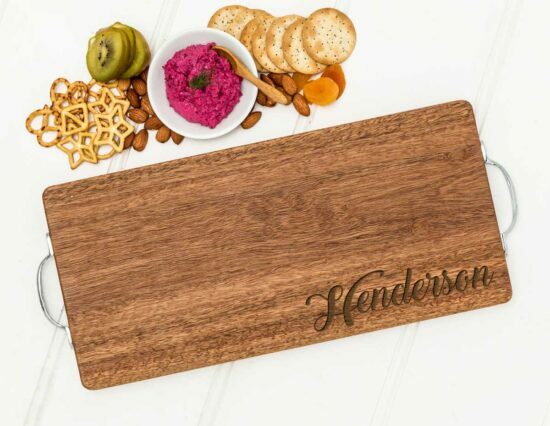 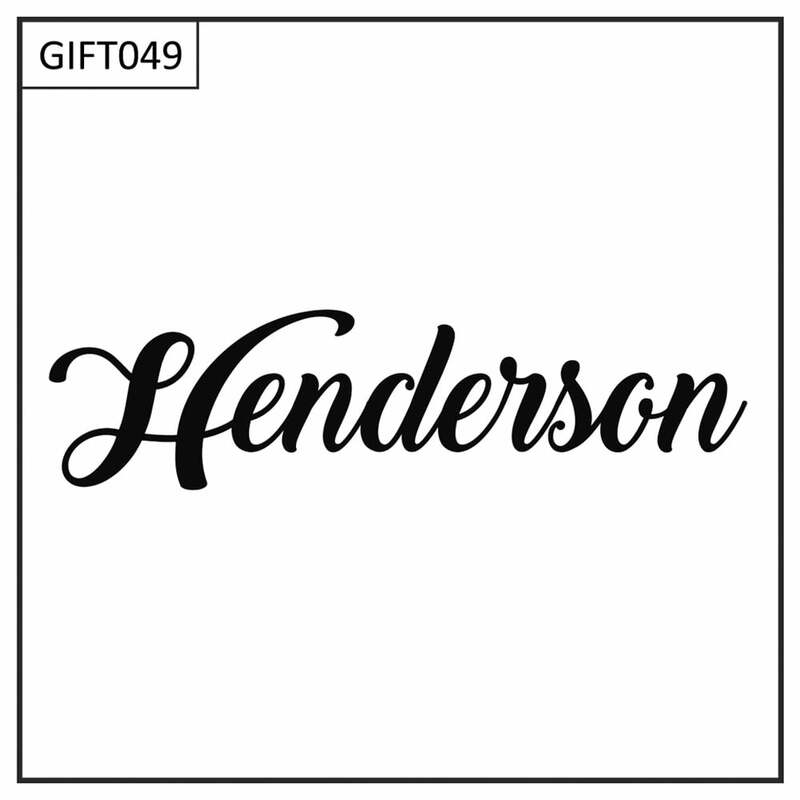 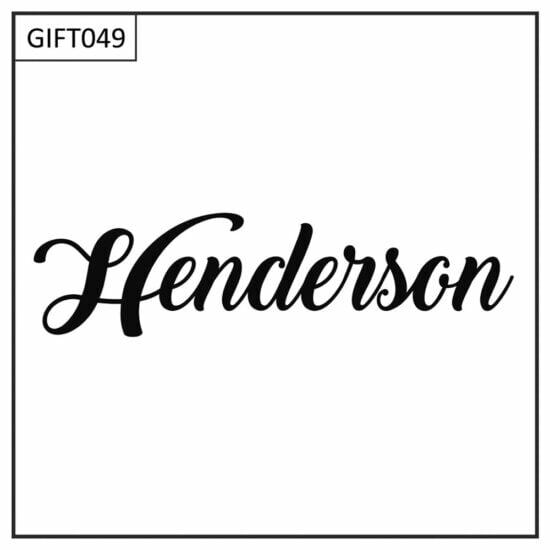 Personalise this Personalised Surname Serving Board by using the field located above.